What's been UP, Hip Hop & Hookah Family?! Your girl EnerJi here after way too long! I hope your Summer has been going GREAT and I'm here to let you know about a date you need to save in case you haven't already. After the HUGE success of the MJ vs. Prince Silent Disco Battle featuring Dialectable Beats and NICKFRESH in May, we KNEW we'd have to host another DJ Battle before the year was out - and the dopeness is less than a month away! 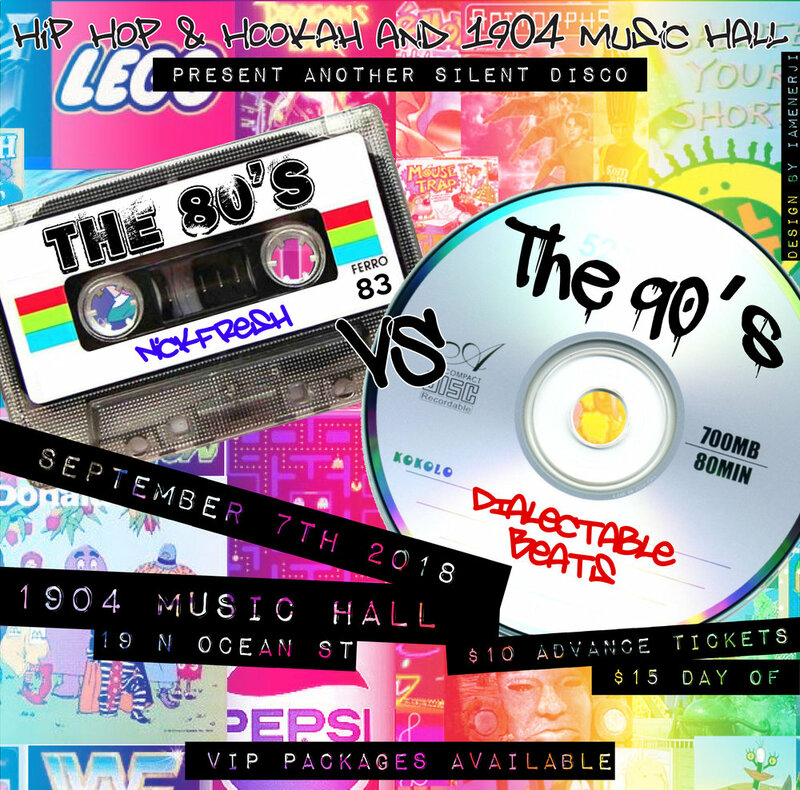 A Silent Disco Battle: 80's vs 90's! NICKFRESH will be bangin' the best of the 80's on one channel, and Dialectable will be bumpin' the dopest of the 90's on the other! Spend the night switching between your favorite bops of each decade while you dance and sing the night away! Admission is $10 in advance, $15 at the door, and VIP packages are available! With VIP you get entry for FOUR guests, a private table on 1904 Patio, EIGHT Complimentary Drinks from 1904, ONE complimentary hookah, ONE complimentary snack plate from Spliff's Gastropub, and FOUR souvenir event posters!